Disney-inspired items for the kid in all of us! 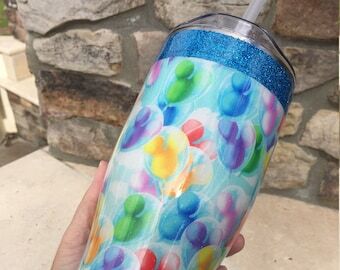 Happiest Place Glitter Tumbler - 27 oz. 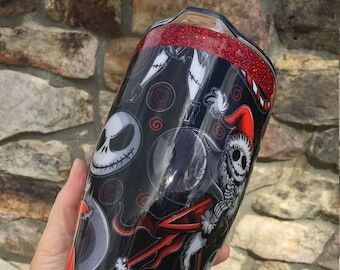 Merry Nightmare Glitter Tumbler - 27 oz. 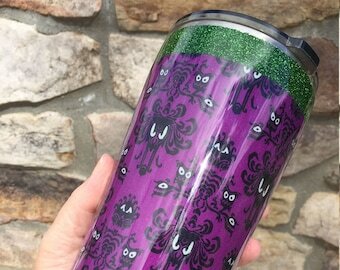 Haunted Wallpaper Purple Glitter Tumbler - 20 oz. 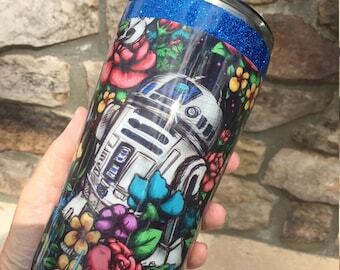 Floral Wars Glitter Tumbler - 20 oz. 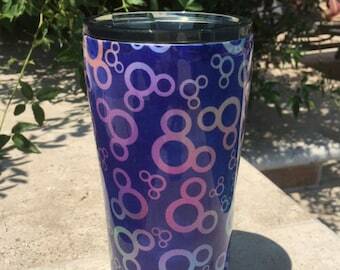 Mickey Heads - Blue / Purple Tumbler - 20 oz. SF Giants Glitter Tumbler - 20 oz. 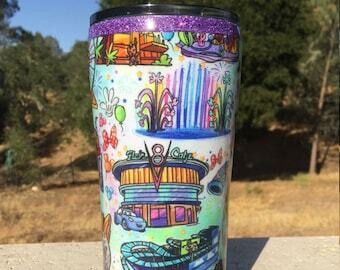 California Adventure Rides Fabric Glitter Tumbler - 20 oz. I've been a fan of all things Disney my entire life. I started making displays for my Disney ears and now I've fallen in love with tons of custom fabrics featuring all sorts of characters, including Disney characters. I hope that you'll enjoy some of my creations.